Constructed from Environmentally friendly Hevea hardwood. This timeless bed frame will never go out of fashion with its straightforward yet charming design. 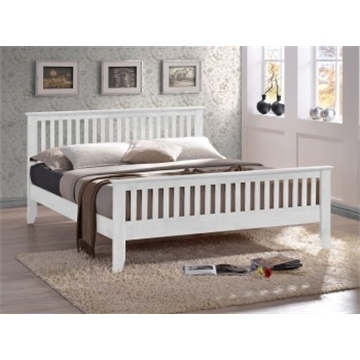 With this bed frame there is no need for a complete re decorate as this will make a wonderful finish to any room of any colour or decor. Also available in Single 3ft or Double 4ft 6"- Please see additional listing.